Halong Bay is Vietnam’s most visited tourist attraction due to its popularity of being listed as a UNESCO World Heritage Site. 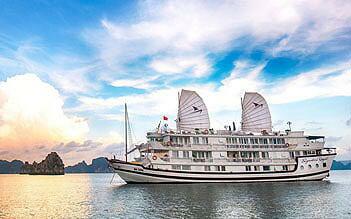 Explore the wonders of the Gulf of Tonkin on a Halong bay 2 day 1 night cruise on the majestic Signature Royal Halong Cruise. Witness amazing scenery and visit points of interest such as Bai Tu Long Bay, Vung Vieng floating village, Thien Canh Son cave. Have fun swimming and kayaking in the peaceful waters of the bay or relax with a cocktail in our bar or on our sundeck. 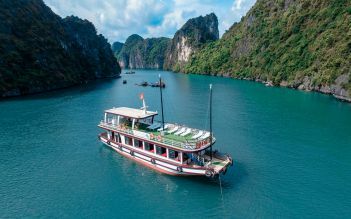 Enjoy appetizing meals onboard our Five star Halong Bay cruise along with a host of activities specially designed to give our guests the fantastic time they deserve. 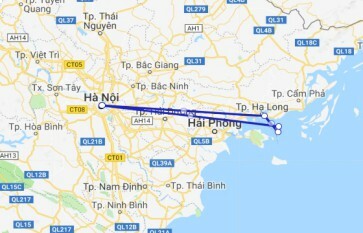 This leg of a 2 week trip around Vietnam was just spectacular. The room was clean and very spacious. The bathrooms had a Jacuzzi bath that was large and much needed after a long day of exploring. 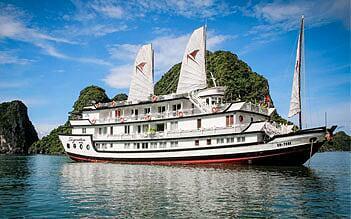 Ha long bay exceeded all my expectations from a beauty point of view. Sarah and her crew on board the boat were just amazing. making time to talk to all the guests and the service was 1st class. i would advise to anyone looking at booking this trip to book the 2 night 3 day trip. I cannot recommend this enough. 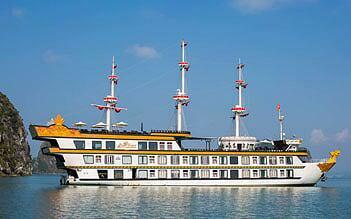 I booked my honeymoon cruise over email with Judy and organised everything from pickup to drop off. I was able to go and come from two different hotels in Hanoi, organise the luxury van transport and was taken care of by the wonderful Mr. Lee. My wife is gluten free and we had zero issues throughout the process. We will be back! I have just left the cruise and sitting in the waiting room of Signature Royal Cruises and have had one of the most amazing cruise times. We had a wonderful tour guide named Lee who made our experience an unforgettable one. He made us feel at home and comfortable. Nothing was too hard for him to do to make our experience the very best. My friend and I have a girls trip every year and this was one of the best cruises we have ever been to. I wish we had stayed a bit longer. We made some amazing new friends as a result of it. Thank you so much Signature Cruises. You guys are the very best!